Born September 29, 1934, in Newport, Vermont. Bruce enlisted in the U. S. Air Force immediately after graduating from high school in 1952. 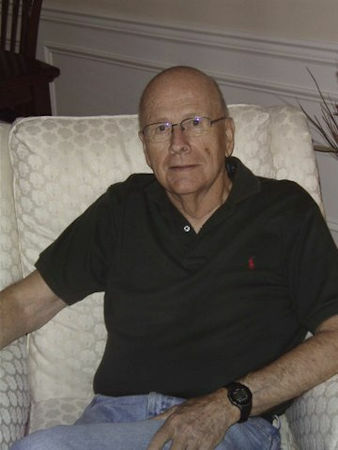 He was a radar aircraft control and warning operator, stationed in French Morocco, North Africa, and later at the U. S. Naval Air Station in Brunswick, Maine. After serving four years in the air force, he was hired by the Civil Aeronautics Administration, forerunner to the Federal Aviation Administration, as an air traffic controller. He served in this capacity from 1956 until 1969, when he transferred to the F.A.A. 's headquarters in Washington, D.C. There Bruce became the Operations Officer in the Crisis Management Center, an office of the F.A.A. Administrator which deals with aircraft highackings, terrorist activities, and similar activities. He served in this capacity until his retirement on December 16, 1989. After their move to the Washington, D. C. area, Irene became a realtor in northern Virginia. She was an active, life member of the Fairfax Hospital Auxiliary. Both Irene and Bruce enjoyed traveling and camping, making good use of their motor home and travel trailers.